Having given a little bit of background to wireless charging technology, it’s now time for me to review Samsung’s wireless charging pad. 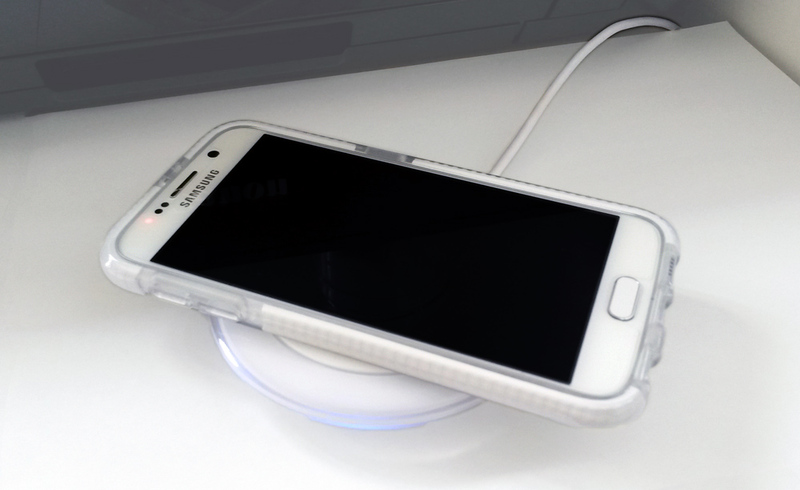 So what’s good about Samsung’s wireless charging pad? It’s a wireless charging pad! It can wirelessly charge your phone!!!!! Providing it’s an S6 of course. The proximity of the sensor is pretty good, you get the best (fastest) charge by putting the phone – without a case – centrally on the pad. That said, my phone charges perfectly well when it’s in its case, and you can lift it up about an inch in the air, and it will still charge – just a little slower. The pad is reasonably small and very well designed. Being plastic, it doesn’t have the same quality feel to it that the S6 itself has, but it is still aesthetically pleasing, lighting up blue when your phone is charging, and green when it hits 100% – just like the LED on the S6 does. The pad has a safety feature built in to stop overcharging, meaning that once your phone hits 100% charge (some people report this is closer to 90%, but for me it’s been 100%) then it stops emitting power. When I’m at my desk, my phone sits next to me, so I’ve just got it resting on the pad now instead. I can still pick it up and use it as frequently as I like, without damaging the pad or the battery. It couldn’t be simpler to use, it really is as easy and placing your phone on the pad and so long as its reasonably central, it will charge. My first S6 charging pad shock came when I realised it doesn’t come with any leads. ‘It’s wireless charging, why do you want leads?‘ you may be shouting, but unless it were battery powered (which it isn’t, because wireless charging is too inefficient to make a battery powered version effective) you need to plug the pad into a power source. Samsung’s recommended retail price for the pad is £40 GBP (or a slightly cheaper $50 USD in the States) and yet that doesn’t include a mains plug, or a micro USB charger. The only other thing that comes in the box is a hefty multi-language instruction leaflet, reminding you not to throw the pad off a cliff, strike it with a hammer or take it for a swim. I’d rather they’d saved the paper personally. Being wireless, the pad doesn’t charge as fast as a wired connection, and is nowhere near the speed of a fast charger. For some people this is a major gripe, but it doesn’t really bother me. I know that it’s going to charge slower, but it’s also going to be more convenient to use. If my phone’s nearly dead and I’m going out in an hour, I’ll turn it off, plug it into a fast charger and I know that by the time I go out, it’ll be pretty much fully charged. If however my phone is nearly dead, but I’m at my desk all day, I’ll leave it switched on and on the pad, knowing that if I need to use it at any point, I can simply lift it up, without having to fiddle with that annoying micro USB. Something to be aware of is that you’ll probably need to plug the charging pad into a mains socket, rather than a USB port on your computer. I was hoping to power the pad from my PC, which the first time I used it seemed to work okay – it just charged a bit slower – however from then on it’s not managed to squeeze quite enough energy out of the USB port and down the wire into the pad. As a result the charger keeps disconnecting, meaning my phone keeps dinging and bonging to let me know that it’s charging, not-charging, charging, not-charging – you get the picture. So is Samsung’s wireless charging pad worth a purchase? Well that’s a tricky one to answer. If you have a phone which is wireless charging compatible, charging wirelessly is undoubtedly a useful feature. If money is no object for you, most certainly run out and get one – or get your butler to buy one for you online. Had the pad included a mains power plug and a micro USB lead I would say yes. It is £40, but for that you get a ready to use wireless charging pad. The fact that for Samsung has chosen not to include a means to power the pad, means that I think this has to be more of an individual decision. I’m sitting on the fence on this one. A great product, it looks good and is convenient to use, but it’s under-accessorised and overpriced. Finally, I must say a thanks to Mobile Fun who sent this S6 charger to us for review. We were discussing the review just after 5pm and the pad was delivered ready for the review by 11am the next day – that’s super fast delivery! That’s an average of 5 posts per month! Not that anyone’s keeping score, but Jonny is hot on my heals now with 165 – just 85 behind me! Finally, wireless charging on a mainstream mobile phone has arrived. 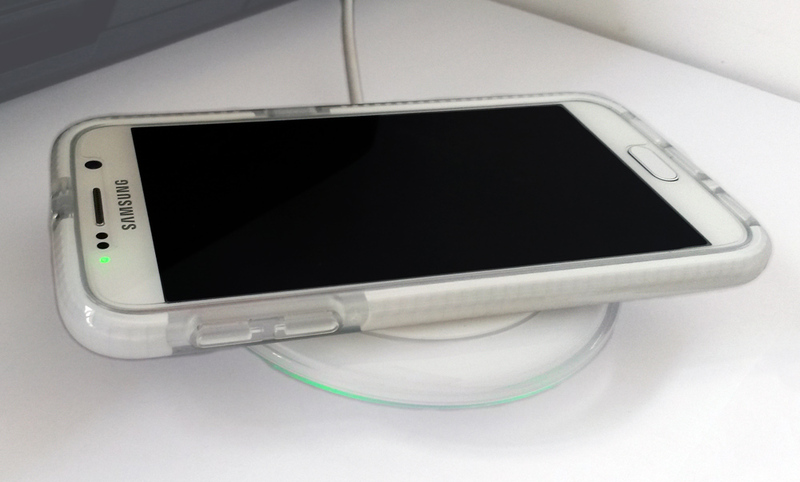 Samsung’s Galaxy S6, S6 Edge and S6 Active all come wireless charging ready. Unfortunately we aren’t yet at the stage where your phone can wirelessly charge in your pocket, you do have to buy a wireless charging pad and have it sit on that, but it’s a step further than we have ever been before. This article gives an incite into the technology behind wireless charging, and then in my next article I’m going to review Samsung’s official wireless charging pad. 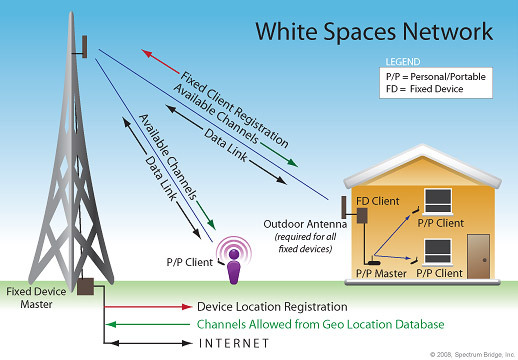 The capability to power things wirelessly is not a new phenomenon. Way back in the late 1800s, Nikola Tesla was using his Tesla Coil to power things from across the room. 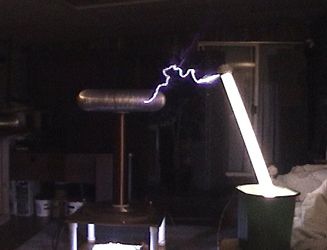 You might have done a similar experiment in science lessons at school, using a Tesla Coil to light up a light bulb. The reason it’s taken so long for wireless charging to become mass market is because compared to wired charging, it is hugely inefficient. Wireless charging wastes a lot of energy as heat, meaning less is used to actually power the device. Wireless charging also takes longer than wired power, and as such is much more expensive. Plugging my phone (the Galaxy S6) into a standard micro USB port will charge it from flat in around 2 hours. Plugging it into a fast charger takes just over an hour for a full charge. Charging wirelessly from flat takes over 3 hours. That’s 3 hours of electricity being used, compared to 1 in a fast charger. Wireless charging has also taken a while to become mainstream because of problems with proximity. Tesla could power a light bulb from across the room, but that wasn’t controllable. If he had 2 light bulbs and only wanted to power one, he had no way of stopping power reaching the other. With so many different devices and radio frequencies about today, it is essential that wireless charging works without interfering with any other signals – for example your mobiles 4G signal. As such wireless charging has a very low proximity range. My S6 quite literally has to be on or within an inch or two of the pad to charge. A range of 1 meter would be fantastic, however that could fry other bits of tech, or ruin the magnetic strip on my credit cards. Despite over 100 years in the making, wireless charging is still in reasonable early stages of development. It is a great idea, and when it works, it is super convenient and very useful, but still has a long way to go. If you want to find out more about how wireless charging works, I recommend this YouTube video as a good place to start. Years ago the thought of having a speaker system that you could carry around with you without any wires was alien. The days of big bulky Hi Fi systems that take up half of your room are long gone; there is a new kid on the block, the wireless speaker. This has revolutionised the industry and now allows anyone, no matter what their budget, to share and enjoy their music with friends and family. The first loud speaker was invented by Johann Philipp Reis in 1861, when he installed it into his telephone. Alexander Graham Bell patented his first electric loud speaker as part of the telephone in 1876. This then changed the way we could listen to sound and thus a new industry was born in the form of speakers. Technology has come a long way in such a short space of time and now we have a wide range of wireless speakers to choose from. Below are two of the leading players in the market. If you are looking for an ultra-compact wireless speaker that packs a punch, at an affordable price tag, you can’t go far wrong with the Jam. This speaker can be used with a range of devices including smartphones, tablets, MP3 players and laptops. With it having up to 30 feet range it makes it perfect for a host of situations whether in the house or down at the park. 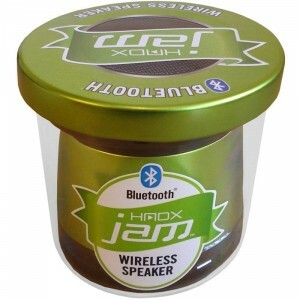 The HMDX Jam Bluetooth wireless speaker available from Superfi can run up to four hours when wirelessly connected to a Bluetooth device. It can also have a wired connection via its stereo mini jack connection with up to 12 hours playback. This is the perfect speaker if you want top quality sound without having to break the piggy bank. This speaker is slightly higher in price but you also get a lot more for your money. 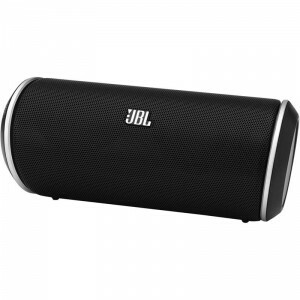 It has an impressive 5 hours of wireless playback due to its rechargeable Lithium Ion battery. The JBL Flip Bluetooth wireless speaker available at Superfi also comes with a built in microphone with a call answer button, mening it doubles up as a hands-free calling system. Don’t be fooled by the Flip’s diminutive dimensions, this little gem punches way above its weight. It has an integrated bass port and two twin 38mm drivers which provide a powerful crisp sound with outstanding clarity. The Flip is definitely at the higher end of the market, but if you have a little bit more money to spend you won’t be disappointed with this investment. Wireless speakers are a fantastic way of playing your entire music collection on the move without the discomfort of ear phones. They are the perfect addition for any social occasion and there compact design makes them easy to transport. To put one of these speakers above the other one is an impossible task. They are both at different ends of the market. The one thing that makes them the same, is they offer outstanding value for money, whichever one your budget can stretch to.